Wondering if the BLOA/C certificates are even valid, there's no mention of any version of the club's names on the official government list of approved owners clubs updated August 2018. That's what I've been wondering, where has his credibility come from (possible the use BLOA name?? )....if BLOC ones are accepted what's to stop me setting up the Bawbag Lambretta Owners Club (i'll go for the BLOC acronym, save thinking of my own logo/branding) and start producing certificates based on easily available information and charging ?? Is it that GFs supplying two named people who offer registration services, who may have an inside track in their local DVLA centre??? Be interesting to know if individuals going their own way to registration have had issues with his certificates. All the DVLA local offices have been closed down for a few years now so everything has to go through DVLA Swansea. Interesting article in the jet set mag regarding DVLA themselves raising an eyebrow over the accuracy of these certs and the LCGB having to sort some of his certs out on people’s behalf. Personally i used the Vintage Motor Scooter Club for this service along with the help of Rob Skipsey and never had an issue. I think it must be. I can't speak for Rob Skipsey. But Gary Seale provided one of Gavin Frankland's certificates. Something I was less than enamoured with. However, they seem to have accepted it. Mine was supplied by Gavin through G. Seale and was incorrect , i wrote to Gavin to get it corrected and one came back quickly he also checked up to see if it had arrived so fair play and credit where due , as well i dont think he was provided with the full info to start in this case luckily the V55 got rejected due to an unrelated issue , i had to supply evidence of correct information to prove that each of the mistakes on my application were errors so got another dating cert from another supplier. the reversion to using the BLOA name seems to have made things very toxic judging by comments here ,whether it was peer pressure from within his group or or whether emboldened by the Scootering article or a further 2 fingers to the LCGB that drove that decision only Gavin can answer that one , i dont support his stance on the main issue here but 1-2-1 he was quite helpful. my thoughts were keep BLOC version of name ,logo of own design not based on Mike Karslakes or any other current clubs logos = Happy families , that doesn't mean we have to be friends linked clubs etc , just be able tolerate the existence of both clubs without the animosity its causing. It's a bit more than that Gaz, but there has been 2 issues. One above from Wintermodel and another that had a number missing. Certainly nothing to raise an eyebrow from the DVLA as claimed in jetset, bearing in mind the pile next to me containing 12 BLA ones and 3 LCGB which are out of date and just need reissuing is where a good percentage of the BLOA are, and I don't think that anyone that has used my service has any issues. The August book as said is mainly for the clubs to go further, i.e to issue the original number plates using the old style log books. I do not have the time or knowledge to go down that route. Yet again cheap side digs to stir things up, not really my thing but when you're down I suppose anything goes?? Anything else whilst I'm here? Wintermodel-ref name change. A few reasons. First and most important was from the members, we have about 34-40 original BLOA members who never joined the LCGB for what ever reason so keeping in with there wishes really. Another reason was the whole idea of bringing the name back to life, before anyone starts ranting and raving just look back at the back issues like the ones I stated in Scootering, your answers are there. Committee stated that we changed to club to stop a copyright issue, really. Think again. 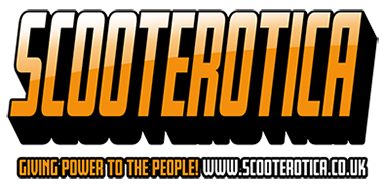 Quite a few have too much to say on this, none of them have actually put anything into scootering, I've not seen them remake anything or organised anything, just sit behind a screen moaning about others. Quite boring. Maybe get off your arse to put something back in then come back to me. That's it really, no harm done. Top answer Bolzenanker, you've just won the Plonker of the year award. Congratulations.